Easy come, easy go. Khabib Nurmagomedov was scheduled to fight Donald Cerrone after Cerrone’s amazing performance against Jim Miller on Wednesday night, but it is not to be now. 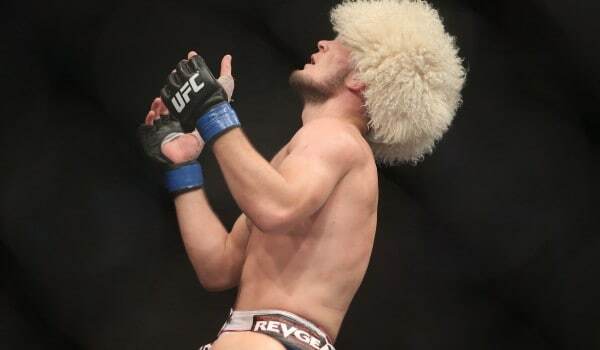 Apparently just minutes after Khabib Nurmagomedov signed the contract to fight Cerrone he was back in training and tweaked his knee. How bad is it? We just don’t know yet, but Khabib took to Twitter to show us. He thinks that he might need surgery, but it’s unclear just yet. What we do know is that Khabib Nurmagomedov vs. Donald Cerrone might have to wait for a little while longer thanks to this injury.